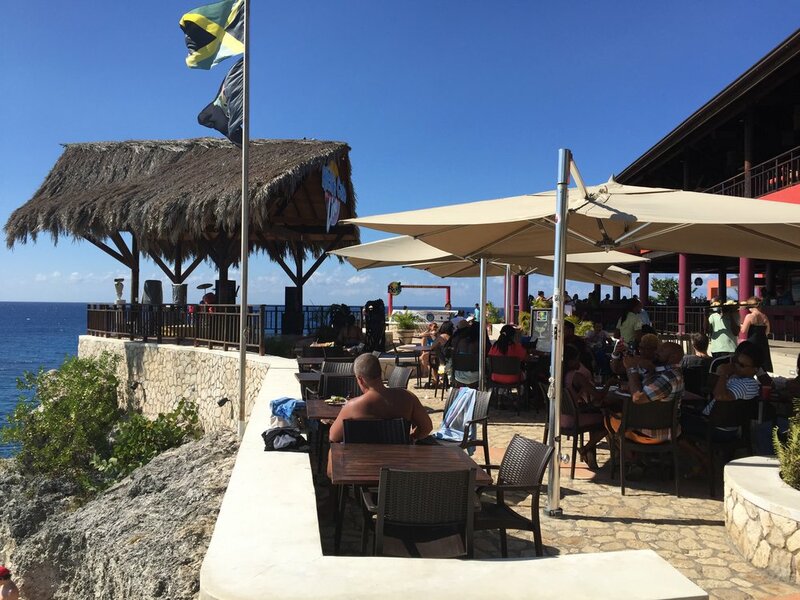 If your Jamaican vacation is taking you to Negril, or if you're driving around the island on an amazing road trip, you may have the famous Rick's Cafe in mind as one of your itinerary stops. And why wouldn't you? 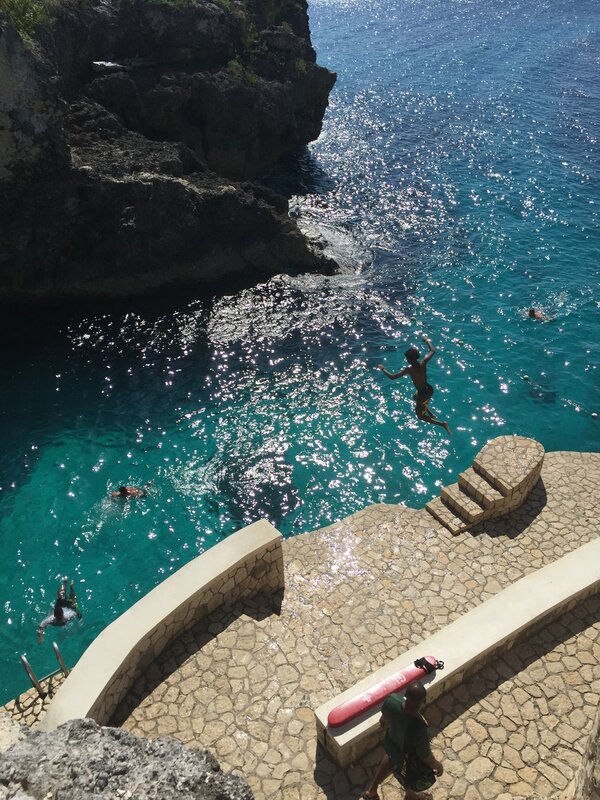 Cliff jumping, booze, ocean views... Aren't these things you absolutely have to experience in Jamaica? Perhaps so, but despite the cool name and slow Jamaican vibes Rick's Cafe advertises, it's well-known as a tourist spot, one akin to Margaritaville (a restaurant chain that can be found in Jamaica), the Mall of America in Minnesota, or even the Blue Lagoon in Iceland. Is Rick's Cafe, a tourist trap with (potentially) all the tourist fixings and none of the local heart & soul, worth visiting? 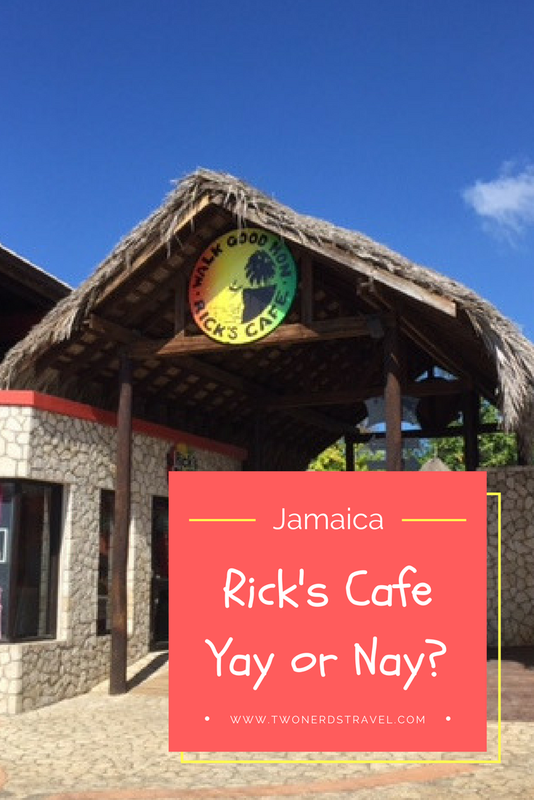 During our trip to Jamaica in December 2016, we stayed in Montego Bay and actually had no plans to visit Rick's Cafe. 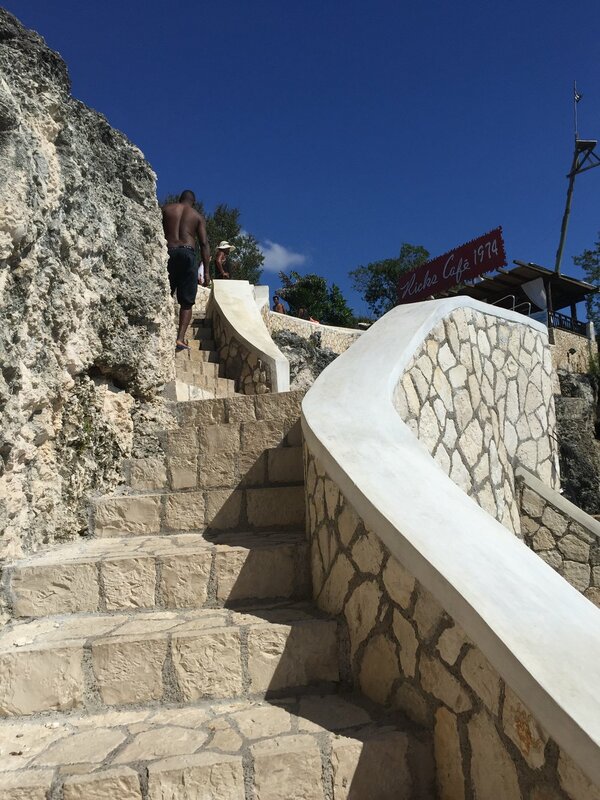 Negril was far away (a 90 minute drive), and we'd written off Rick's Cafe as a boring tourist destination. 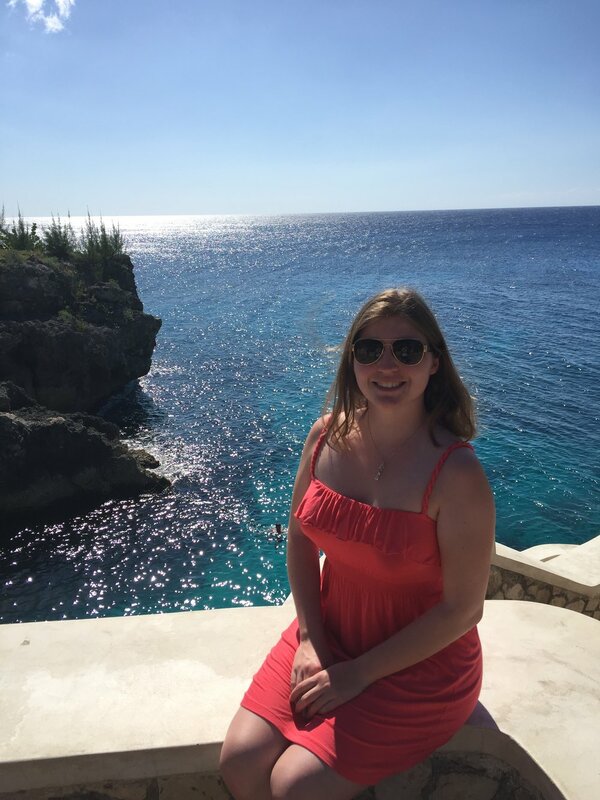 Our plans changed, however, when we met a very nice taxi driver (on our way to my scuba diving lessons) who offered to take us around "the real Jamaica" for half the price of his competitors—and yes, he was a fully licensed and regulated driver, before anyone asks. I think he was just bored and wanted to do something more than drive back and forth between Sandals' resorts. After a delicious lunch at the Sandals' resort there, our driver asked if we wanted to visit Rick's Cafe before heading back to Montego Bay. "It's a fun place; all the visitors go there," he said. "Most people want me to take them for a look." This wasn't a huge turn on for us, having it reinforced as a tourist spot, but we admitted we were a bit curious. Ten minutes later, after passing several hotels and inns where we saw people wandering the streets in the sun, he dropped us off at the entrance to Rick's Cafe and said he'd meet up with us again in an hour. The moment we stepped through the wide open doors of Rick's Cafe, we were hit by the intoxicating smell of ocean water and the sound of screaming, splashing, and laughter, all overlaid with a backdrop of groovy tunes. Despite the noise of shrieking kids and drunk laughter, we were surprised to find it wasn't too crowded for a Friday afternoon. In fact, there were plenty of open seats at the bar, plenty of places to grab a good picture without anyone being in the way, and plenty of benches to lounge on while overlooking the ocean. We'd assumed it'd be packed—but we were wrong! Then again, we did go around 12:30 p.m., so I can't account for what the evening (or actual weekend) rush is like. Looking at photos on Google, though, I can say with some certainty that it gets BUSY. You really can't go wrong visiting early in the day. Stepping aside, we took in the layout of Rick's Cafe. It's an expansive outdoor area (apparently sitting on 1.5 acres of land) with a two-level covered bar area, indoor gift shop, plenty of outdoor seating, an entertainment patio, and a staircase leading down to the lowest of three jumping points for cliff diving. Kids raced up and down these steps, dripping wet and shrieking as they plummeted several feet into the ocean below (so be careful if you're walking by with a drink in your hand). The upper portion of the stairs is also busy, as adults usually watch from here, and some daring few even jump! Despite visiting in the dead of winter, we broke into an uncomfortable sweat from standing in direct sunlight. There's little shade, expect for under the bar, and not much of a breeze ... so no matter when you're going, make sure to dress for success and bring sunscreen. If you're dead set on visiting Rick's Cafe, there's a lot to do here! We were overwhelmed by the options, and the best part? Getting in is FREE! That's right. You don't have to pay to get through the doors and you're not obligated to buy anything (though a drink or two wouldn't be a bad idea). Overall, our time spent hanging out at Rick's Cafe was minimal—probably 30 minutes, if that. 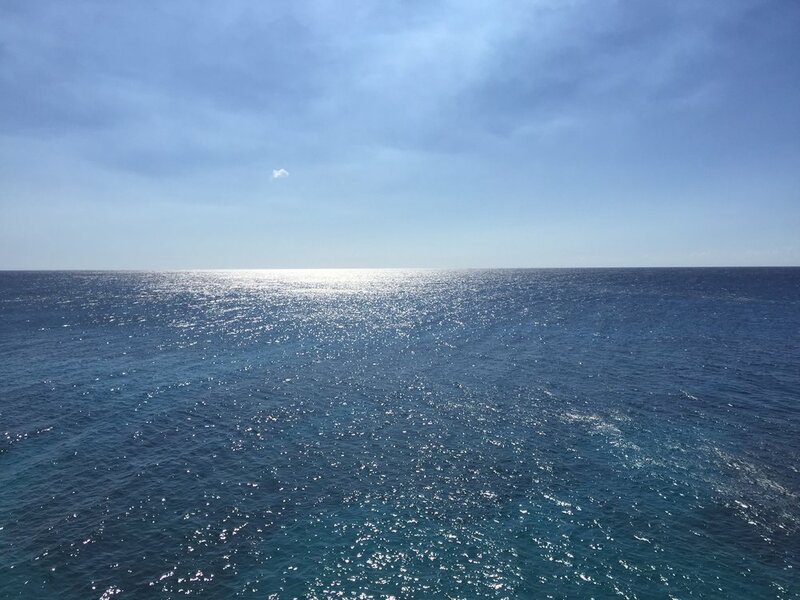 First, we debated whether we wanted to put on our swimsuits and go cliff diving, just to experience it (my idea), but the prospect of peeling off our clothes and putting on our swimsuits seemed like too much work (heh) and we didn't have any towels to dry off with. So a note to the wise: bring a towel! Next, we thought we'd grab a drink at the bar and do some people-watching, but as it turns out, drinks at Rick's Cafe are expensive. If you're on a budget or are already staying at an all-inclusive resort, this is not an affordable place to hang out. Cocktails are $8 USD a pop (beers are $5 USD, if you're into that). Bottles of alcohol to split between friends are anywhere from $70 to $200 USD (though two mixers are included)! Food is even more pricey, with appetizers starting at $10 a plate and entrees between $20 to $30. Salads are $12 to $15 (more if you add meat). Don't get us wrong, the eats and booze looked delicious, but we couldn't stomach the cost as the bill would've been around $40-50 just for drinks if we'd done a couple rounds plus tip. More if we threw in an appetizer. If this works in your budget, go for it! The drinks have clever names (like "Jamaican Me Crazy" or "Shark Bite") and the food looked pretty appetizing. We just couldn't justify spending that when we got free drinks at our resort. We did spend some time sitting on a bench overlooking the ocean. Man, was it beautiful! If anything, you can get some amazing pictures from Rick's Cafe. There were quite a few people cliff diving, especially some crazy adults jumping from the 25ft platform (the highest is 35ft, though it seems higher in person) into 15ft deep water. We really enjoyed watching people have fun and even got some sweet video footage of twins doing the same jump back-to-back. If you like water sports and enjoy a bit of adrenaline, you might enjoy watching people jump ... or even attempt a jump of your own! The lowest level is 10ft, so you can always start out small and work your way up. We were a little early for this, but Rick's Cafe has live reggae music from 5:30-8 p.m. every day. So if you're into some evening fun, kick back at the patio with a drink in hand and enjoy the beat ... and maybe even a little dancing! We don't judge. Okay, so you can't go to Rick's Cafe and not get some sweet pictures of you and the ocean in the background. I mean, we did. Just look at that water! It's begging to be captured. Rick's Cafe is an interesting experience, and honestly, whether or not you should go depends totally on your budget and your interests. Do you like live music, hopping bar scenes, and insane cliff diving? 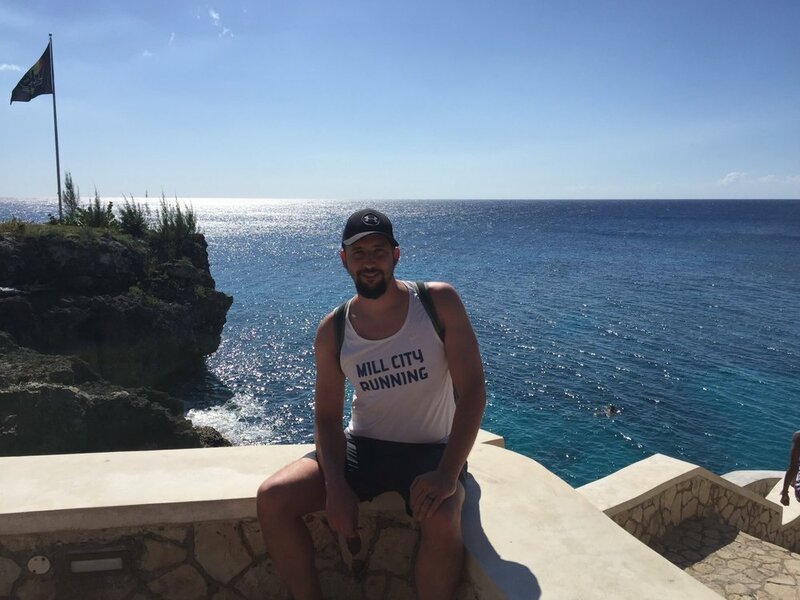 Are you the sort of person that thrives in crowds and loves the Caribbean heat? If so, Rick's Cafe might be the perfect place to stop for an evening of drunken fun and games. If not, ehhh... You could probably skip it. Rick's Cafe has a lot of charm and appeal. It also charges a lot for drinks and food (though entry is free, woo-hoo!) and packs a ton of people in one place. People who, for the most part, are tourists. Not locals. Yes, the music is fun, the vibe is neat, and the opportunity to try cliff jumping is a huge plus. But in the end, this isn't the best spot in Jamaica. In fact, on our next trip to this lovely Caribbean island, we're going to continue our search for authentic entertainment and local hangouts ... because those are the best places to go if you truly want to experience a trip with real Jamaican spirit.